If you can imagine it, we can make it. 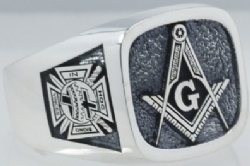 The world's leader in Masonic Rings and the home of the fully customizable $200 Masonic Ring. These models (along with many others) let you choose your own design for all of the symbols, text, metal, borders, etc. Fully customizable rings start at $199 in sterling silver. There is no charge for custom artwork. We do not customize steel, brass or anything other than precious metal (gold and silver). 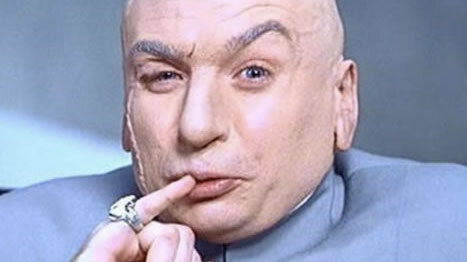 I became a mason online and was told I would receive $1MM USD! I am here to collect! The Ashlar Company is the Freemason's supply company and hub of Masonic resources that is preferred by the most brethren all around the globe. Legendary customer service, affordable prices to accomodate every brother, and everything you have come to expect from the only shop that is owned and operated exclusively by members of the Masonic Family. When you do business with The Ashlar Company, you can rest assured you are dealing with an organization backed by over 300 years of tradition. . Sometimes you just don't know what to get. In cases like that, purchase a masonic gift certificate. Over the last decade The Ashlar Company has grown from a small one man operation into the worlds leading manufacturer, wholesaler and retailer of Masonic rings and regalia. Since day one, we have been staffed exclusively by brothers, mostly past masters. We provide a steady stream of work for brethren that manufacture Masonic goods all over the world. Orphans and widows repeatedly turn to us for honest, objective advice on what to do with rings and regalia left to them by loved ones. At our peak, we carried over 10,000 unique products but have since cut that number down through a long evaluation process taking class, quality and demand into consideration. 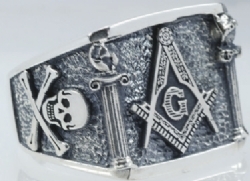 Today we focus primarily on Masonic rings, car emblems, artwork and lapel pins. Unfortunately many of our exclusive designs have been poorly reproduced by counterfeiters and now litter the internet on faceless websites. We repeatedly get calls from defrauded brothers upset that an item broke almost immediately only to have to tell them that they were the unfortunate recipient of a Chinese counterfeit sold by another website unrelated to us. In terms of manpower we still remain a relatively small company and because we refuse to contract out work that could provide a job for a fellow brother, we do not use call centers, drop shippers or any of those types of services that you so frequently see on thin shell companies based out of China or Pakistan. The trade off for this is that some days there is simply no one in the office and sometimes it may take us a day or two to return your phone call. But worry not, we have advanced computer systems and databases (Built by a brother) to prevent things from falling through the cracks and we will always make our best efforts to bring you the best service possible. We don't store your credit card numbers so there is nothing here to hack. Shop with confidence, trust, safety and the knowledge that you are helping another brother. Who can buy Masonic Regalia? Anyone can buy masonic regalia, in fact, many non-masons purchase such items to give as gifts to friends or family members who are bonafide members. However, if you are not a member, you should refrain from purchasing items here for yourself. Representing yourself as a member of an organization to which you do not belong can cause numerous problems, both legal and otherwise. Some states even go as far as to pass laws imposing minor penalties on anyone making a fraudulent membership claim. If you are not a mason and have interest in the fraternity, we instead recommend contacting your local grand lodge, a list of which is provided here. We also have a page about becoming a Freemason which will answer some common questions and help you decide if it is something right for you. If you recently became a member, it should be noted that in most jurisdications, only Master Masons are entitled to wearing items bearing a square and compass. 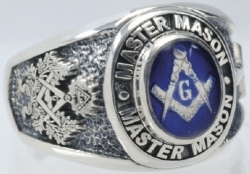 Although we do have rings and other items that display a square and compass in a variety of ways, they are all intended for Master Masons only. Entered Apprentices and Fellowcrafts. If you are uncertain about this, or believe your jurisdication may be different, it is always best to simply check with another lodge member or your respective grand lodge, both of whom would be able to give you more specific information about this.